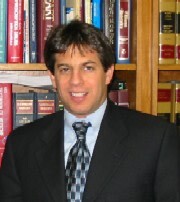 Mitchell D. Franzblau, Esq., received his undergraduate degree from Binghamton University and obtained his law degree from Law at American University in Washington, D.C. Mr. Franzblau is a founding member of the Law Office of Belovin & Franzblau, LLP, predecessor to Belovin Franzblau & Associates, PC. As a founding member of both law firms, Mr. Franzblau has been fully immersed in navigating and handling virtually every aspect of a personal injury action. He has successfully tried numerous cases in Bronx County and the surrounding boroughs. Mr. Franzblau also proudly tried a motor vehicle accident case in Westchester County and settled the case just before summations for two million dollars, representing one of the larger Westchester county personal injury settlements at that time. In addition, Mr. Franzblau was acknowledged and written up in the New York Jury Verdict Reporter having obtained one of the largest verdicts in the State for intentional torts in the year 2009. Mitchell Franzblau has generated consistently excellent results in cases involving motor vehicle accidents, slip and/or trip and fall accidents, false arrest, abuse of children in Public Schools, dog bits cases and various other types of accidents. No case is too big or too small for a free, personal, caring consultation. Mr. Franzblau takes a true interest in the welfare of his clients and focuses on resolving your case for the maximum amount possible. He also has a proven track record of successful trial results. He believes that personal service, attention to detail, genuine concern for his clients and proven results are what set Belovin Franzblau & Associates, PC apart. Mr. Franzblau has been representing victims of accidents for over 30 years. To speak with Mitchell Franzblau or set up an appointment, call him at (718) 655-2000 or (718) 655-2900. Please email him at [email protected].